App Builder Appy Pie: In past few years, growth hacking has emerged as the definitive buzzword for startups. While ‘pivoting’ and ‘iterating’ might have been popular at one time, today it is all about growth hacking. Though the people who have come across it, might have found it intriguing and explored it in depth, but there are others who are yet to hear anything at all about it. Whether you are aware of it or not, whether you like it or not, growth hacking is a very real phenomenon. This, in fact is one of the major reasons why we see some of the startups almost every year with astonishingly high growth rates! 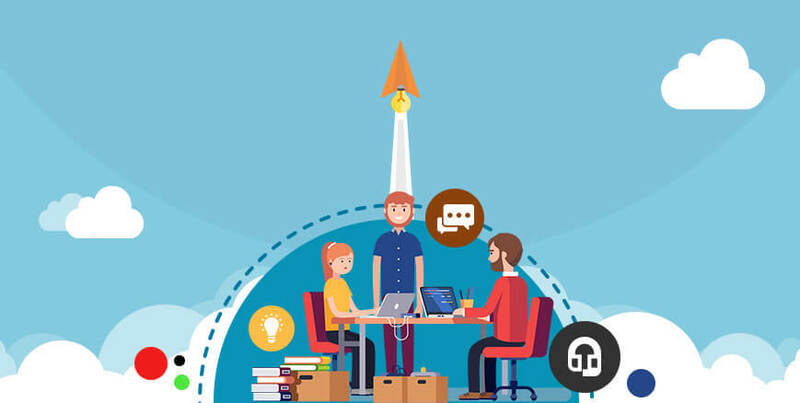 Growth hacking as a business concept is fairly new, but the way it is catching up is quite promising and that is the reason why every startup on the block is looking for a growth hacker. You do not have to ask why? Everyone is looking for a growth hacker, because everyone wants to grow in leaps and bounds and acquire millions of users and a proportionate amount of dollars in revenue. In this blog post we are going to explore what growth hacking means and the numerous factors that are associated with growth hacking. What is growth hacking & its history? The term growth hacking is comparatively a novel term and was coined in the year 2010, by Sean Ellis, CEO and founder of GrowthHackers. Sean Ellis has been responsible for quite a few startups achieving accelerated growth for example Dropbox. Growth hacking is a term that includes marketing and promotional strategies which focus only on growth. These strategies must also be designed in particular to achieve quick results with as less expenditure as possible. The reason why “hacking” made way into the terminology is because it is all about finding clever shortcuts in order to bring in huge results. When asked about it, Ellis said the reason why he coined the term was because of his frustration with the process of finding himself a replacement as he decided to move on from a certain startup, having done his job. Sean, due to his work with the startups and his role in helping them achieve exponential growth right from the start, became the blue-eyed boy in the valley. Anyone who was looking to expand their user base would go to him and he would achieve the results in exchange for equity and payment from them. 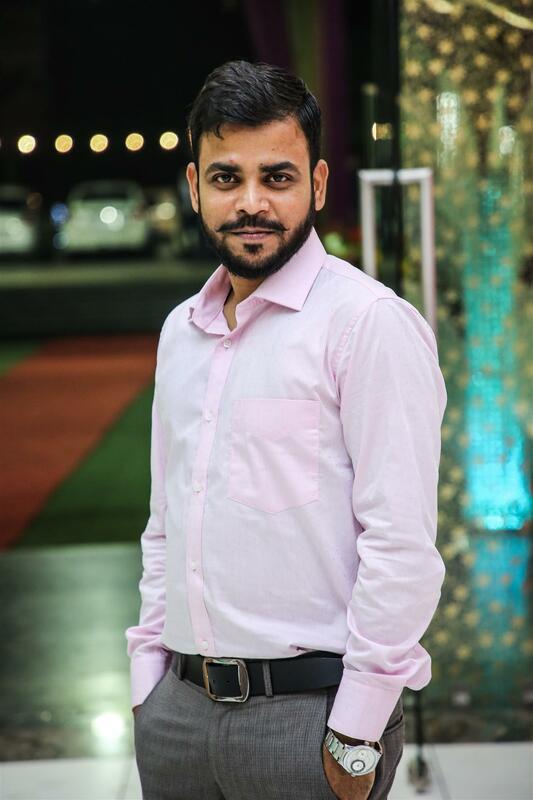 He gained the reputation of a one-man growth shop for any organization by setting up systems, processes, and mindsets which would later be maintained and managed by an in-house resource after he moved on. Once he was done with that, he would move on to newer assignments. However, this is the point where the real challenge emerged. As he began looking for people to take over the reins, he realized that though he was getting some really great resumes with experience and qualification in marketing, but hardly any of them were relevant to what he really wanted done. The kind of person fit for such profile would have to go beyond the traditional marketing practices and change their focus to clever tactics that would bring in quick and massive returns. A growth hacker essentially is a professional who places their true north exclusively on growth. In a small startup, a growth hacker would have a team of three people – the growth hacker himself, a front-end developer, and a back-end developer. Now that is a cryptic statement by itself. So, let’s get deeper into it. Every decision that a growth hacker takes is motivated by and aimed at growth. Each of the strategies that he carves out, each tactic that he adopts, and each initiative that he takes is with the sole intent of achieving growth. Growth is the sole point of focus around which the growth hackers’ actions revolve. The traditional marketer might care about growth too, but the intensity and the degree vary greatly. Growth hackers are almost obsessively focused on it. It is because of this single minded and unwavering focus that brings in the exponential growth that they are aiming for in a much shorter time as compared to the traditional marketing methods. The singular goal of growth hacking is well growth! However, what makes it particularly amazing is the kind of flexibility that it has! What we mean here is that irrespective of your scale and size, whether you are a one-man startup, or a corporate setup with presence in multiple countries, growth hacking can bring in comparable results for all of you without any discrimination. The digital space has turned into a battleground where different marketers are competing with everyone else in an effort to gain any form of a competitive advantage. All the tricky aspects of a traditional offline business, like targets that are uncompromising, budgetary limitations, constraints in the available resources, and a market that has a plethora of competitors, exist in the digital space with the added challenge of coping up with an ever-evolving and fast pace of change and advancement in technology, tools, and the various platforms. This only means one thing that the conventional approach to marketing is not going to cut it for you anymore. The growth hackers, in contrast to the traditional marketers who have a broader view and are concerned about a number of things including brand awareness, public relations etc., are only interested in those strategies that would drive growth. Any other strategy or tactic that does not have an impact on growth, would be of no interest to the growth hacker and they would probably disregard it entirely. This is probably why, many of the reputable companies now have teams of growth marketers that have among them growth engineers, product managers, and other such related roles. If you are new to the concept, it might seem a little overwhelming to take a deep dive into the great number of tactics that come in handy for a growth hacker. Hence, we shall begin by first forming an overview of the whole process of a growth hacking. There is a defined series of steps that a growth hacker keeps in mind while they are working on achieving the desired growth of any organization. Like any other responsible professional, a growth hacker too needs to have a defined list of steps for the whole process in their bag of tricks before they can even begin. We have talked extensively about growth being the final achievable goal for a growth hacker, but when it comes to the actual process, having as inclusive goal as that might leave you a little unfocused, or confused. In fact, having too broad a goal to begin with, might render the whole thing entirely meaningless. Hence, it is important that you begin with focusing on narrower goals that are actionable. It is true that the larger picture consists of attaining growth, but that can only be achieved successfully, if you break the whole thing down into smaller, manageable, actionable tasks that are achievable. Now, let us demonstrate the whole thing with a relatable example. Let’s say you have a product for which, you would want to increase the number of daily active users. Now, that’s all great, but beginning with a goal like that might prove to be a mistake, simply because, it is too broad a goal! So, in order to bring it down to a smaller task, you would have to focus on retention of existing users which definitely would increase your DAU. But, even retention of customers is too broad a task to deal with. This is when you delve deeper and look at the different kinds of activities that the users engage in while exploring your product or interacting with any facet of it. Let’s say you discovered that when the customers (or even non-customers) create content within your product, their activity level on your site grows manifold. This means your task is to help and encourage your existing customers or users to create content. So, your finding is content creation leads to retention, which in turn results in an increase in the DAU numbers. 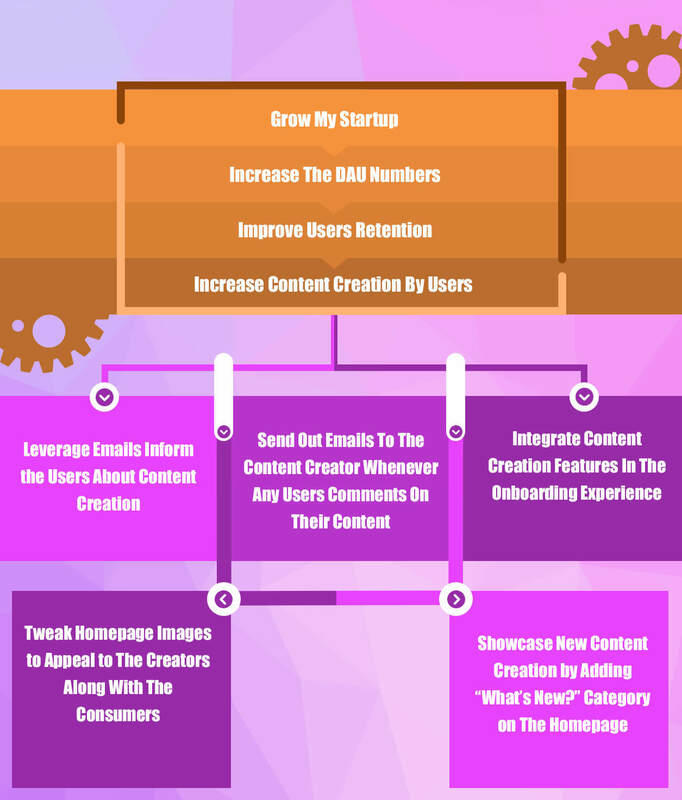 Hence, your first actionable goal could be that you want to increase the amount of content creation by a factor of 2. Now while you are doing this, there is a chance that you have trouble identifying the moment where you have already managed to narrow your goal down. One way to do this, (which we advocate) is to consider your set of goals as shells of hierarchies, and it is only when you reach that particular “shell” where things can be marked off as tasks that can be completed once and for all, that you can rest assured that you have narrowed the tasks down to the optimum stage. Now what does that mean? Let’s take a look at the flow or hierarchy of tasks above and think. Would you ever reach a point in time when you would be able to cross off “Grow My Startup” from your list of tasks? No! This means that the goal is too broad. Same goes for the tasks “Enhance the DAU Numbers” or “Retain More Users”. This goes on to demonstrate that these tasks are way too broad to be actionable right from the word go! Whereas when it comes to the task “Leverage Emails to Make the Users Aware of Content Creation” there would be a time when you would be able to tick it off of your list, marking it complete. This is where your actionable tasks or goals are! The task of defining actionable goals is done, and you are now looking at bringing about an increase in the content creation by the users by a factor of 2. It’s nice that you know what you are working towards, but how and when would you be able to ascertain that it is actually happening or not? In order to accomplish this, there are certain points that you must consider and some questions that you may have to ask yourself. Have you developed any system at all for tracking content creation metrics? Does your tracking system for content creation do so by cohorts or only in aggregate? Does your tracking system consider the metrics around the content itself (including file size, length, views, shares, etc.)? Does your system also track the different devices that are used to create and consume the content? Have you made provisions to track the referring URLs that are responsible for the maximum amount of content creation? This list is only indicative of all that you need to question while devising a growth hacking strategy and you would have to heavily populate the list of these questions. If you set goals but do not implement appropriate analytics, the goals lose all meaning. What we mean to say is that if you do not have a clear answer to when your goal was achieved, then you have failed to complete the requirements set out for the tasks before moving on to other tasks. In fact, if you implement the appropriate analytics, it would offer you data of great value that can even lead you to change your goals to better suit the organization’s broader goal of achieving growth. The analytics you are implementing and the goals you have set out to accomplish have a symbiotic relationship where they are both continuously shaping, tweaking, and redefining each other. For example, if you started off with the goal of increasing the content creation from users by a factor of 2, and somewhere along the way realized that there is more to the story and there are more important things that need to be looked into, apart from only creating content. This is when you would have to tweak and restate your goal. Your analytics might tell you that it is only that content which is about two and a half minutes or more that has any impact on increasing the retention factor, you would do well to realize that you need to make adjustments or tweak your goal. One of the greatest advantages of implementing analytics specific to tracking the progress of a certain goal is the kind of benefit and positive impact it can have on the overall analytics that you may plan on employing. Once you have spent some time on a startup and have worked on achieving growth by conquering one goal after the other, you would have a huge body of research and insurmountable amount of data that would fortify all your further work. There might actually be certain goals that you set and realize that you have all the data that you might need for its fulfilment, at your disposal. The idea is that you will only get sharper with more and more experience and come up with stronger results every time you set upon a new goal. Even when you are only just starting up, you have certain strengths and assets built inherently within your existing setup. It is this set of assets and strengths that you must remember to leverage the most. Introspect and explore all those tasks that would require from you a very little amount of effort or energy but bear some great results, and it is these tasks that could potentially be the leverage you were looking for. Let’s continue the discussion we started in the previously. There might be a scenario where you might be in a fix when you are trying to decide whether you should first add a “What’s new” category, or should you first begin with your educational email. In this case if you have a strong email database that is on file and a robust email distribution system in place and if you can draft the educational email in a couple of hours, then this definitely has the potential to emerge as a leverage in your case that you can benefit from. In case your “What’s new” section is in a condition that would still take a couple of days in the process of planning, may be need a couple of days for design mockup revision, some days in programming, and you do realize that all your engineers are already buried up to their necks in the development process of your website and app, then, quite evidently this does not look like the path you should take. This is especially true if you are looking for some quick results with minimal efforts. However, this particular technique should not become your gospel at this stage of the process. When you are sending out the aforementioned mails to your target users, the key factors that would decide whether it is a profitable leverage is the size of the email list at your disposal and the email distribution system that you are going to use. The amount of engineering horsepower that you can use for this purpose at this point might not even be of any consequence at this point. The option that any startup chooses to go with, at this point would be different for everyone and would depend greatly on the leverage they have, at their disposal. If you were to plan everything and set all your goals on a virtual island, without any consideration for all the leverages that you might have in your kitty, then you are setting yourself up for an inevitable disaster! Once you have taken care of all the previous points and have figured your leverage, which in your case might be sending out an educational mail, now you have to prepare yourself and your system to actually implement the same – that means it is time for experimentation! So, when you are indulging yourself in this new experiment there are a few things that you must categorically keep in mind. Like any other experiment or research, you too need to jot down a clear hypothesis, which is essentially your best guess regarding what you expect would happen. Since your experiment involves sending out emails. Ask yourself whether this new email is going to get you a higher number of click? Be clear about the reason you think it is going to happen. By sending out this email, how much of content creation do you think would increase in the following month. Is it possible that you would manage to increase the content by a factor of 2 in one go, or would it get you going on a positive path towards accomplishing your goal? While this exercise might seem superfluous to you, because of course once you have sent out the email, you are going to of course find out all this, and more! However, if you avoid doing so, you are depriving yourself of the opportunity of proving or disproving your assumptions that you set out to work with. Let’s say you began with the hypothesis that an additional email from you might annoy the users and reduce the clickthrough rates, but when you actually conduct the experiment, you might end up disproving the hypothesis as you see the number of clickthrough increasing with the second email. Now, you would not only be celebrating this increase, but will also be examining the reason why you began with a wrong assumption in the first place. This means that quite a few of your customers or users are looking to get in touch with you. Now this is an important insight that would be of significance for a lot more than the email you have sent out. No matter which stage you decide to conduct these experiments on, there is definitely going to be some kind of disruption that you are going to encounter in the normal flow of events in your startup. First of all, the whole team needs to be notified about the experiments that you have planned for. This way they would be prepared for any kind of mishaps that might take place during the experimentation process. The second most important thing for this process to be fruitful is to be realistically aware when your establishment is resource constrained and plan for any such experiment keeping that in mind. What we mean by this is that if on Thursdays, the servers are already bursting at the seams, do not plan any activity that would push up the traffic by any measure. And finally, if you are aware that certain elements of the process are going to take a certain amount of time for completion, make sure that you take that much time into account and add a buffer time period if you can. It is quite common, and natural that you might work with a strong belief that whichever experiment you are conducting at any given time, is the one that would bring about a revolutionary change and make the world rosy for your business. You might even begin with the belief that the experiment you are conducting currently for the company is the only obvious solution to the problem you set out to solve. It’s great that you are starting out on a positive note and are optimistic but understand that it is highly probably that your experiment might fail! Being optimistic should not end up in devastation when things do not go as you had foreseen. Hence, it is wise to attack a defined goal with multiple approaches. Many of these approaches might lead to a dead end, but the probability of finding a solution is higher when you have multiple approaches. Information, any information or data has value. Any data that you collect can never be utterly meaningless. The value might be low today for the experiment that you are conducting, but that doesn’t mean that there would never be any value to it. The experiment you set out to conduct might have failed, but in the process, you would have gathered a whole lot of data that may be used in future experiments. This essentially means that when you succeed in any experiment you gain, but in the events that you fail, you would still stand to gain from all the data that you have at your disposal. Who knows it might even be the impetus for your next experiment. The whole concept of an experiment lies in its fluidity, especially when it is in the context of growth hacking or even marketing for that matter. Experiments can only be expected to bear any results when you are ready for and plan to optimize as necessary. You cannot expect to do it once and for all and then simply move on. There might be a need to tweak it a little here and there, maybe even re-run them, or even give up on them entirely. It is a good idea to always have a control group as far as possible, because when you have one, you gain the ability to account for the environmental factor that might otherwise be tough to keep a track of. Now, when you send out the email to let’s say about 75% of the total number of your users, then you can track the amount by which content creation goes up in this group as compared to the control group. While you might be racking your brain trying to list out all possibilities and looking for the reason why your content creation has decreased, the reason might be out of your control or even your knowledge. In the absence of a control group you might mistakenly conclude that your email resulted in the decline of content creation, which might be untrue. 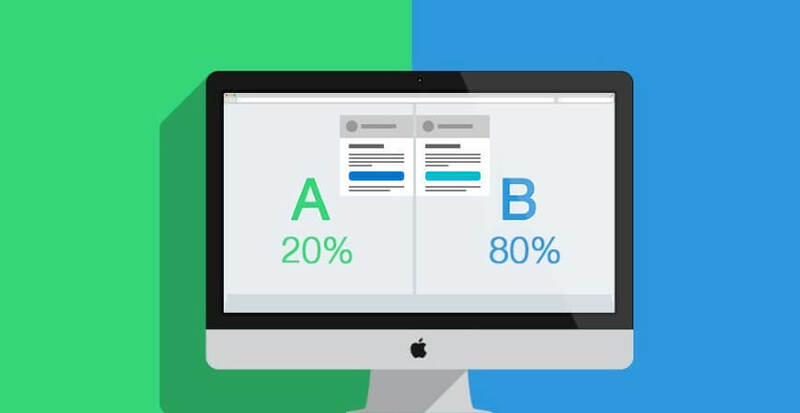 A/B testing is one of the most revered tests that most of the growth hackers swear by. They might prove to be nothing short of a miracle. While you might begin with a firm belief that a certain subject line for your email would ensure that it is opened by the user, but it is only through an A/B test that you can really be sure. Also, an A/B test would help you determine which landing page should be included in the email that would encourage the users to create more content. There are rarely any other tools that can bring about such results. After you have done all you could do for a certain experiment and have gained either from the success of the app or from the failure of it, it is time to then move on to the next experiment in your scheme of things or to run an optimized version of the same experiment. This time you would have to go through yet again through all these steps with the same tenacity as earlier if you are looking for genuine and fruitful results. When you follow the system in all its elements, you would understand that success can only be gained by your tenacious efforts and definitely not the result of sheer luck. We reiterate, it is a prerequisite for a growth hacker to be obsessed with strategies that are oriented towards the growth of a business. In general, all their priorities are set around acquisition of more customers and scaling the business, and developing, implementing, and testing ideas to help the company achieve their goals. Whenever you are planning any marketing strategy – growth hacking or not, deciding upon the way you want to measure success is instrumental. A great number of growth hackers rely on the “pirate metrics” or AARRR metrics that stand for the five stages of the funnel. To begin with, you cannot target everyone under the sun, even if they are only remotely connected to what you are offering. It is the innovators and the early adopters that you need to think about first, before moving on to the majority. These would be smaller groups and communities that you should be targeting explicitly. A great place to begin is creating a customer profile while considering all the different aspects and attributes of the product or service that you are offering. Once you have done that, ask yourself who is it that would benefit the most from what you have to offer. While answering this question, try and be as specific as possible. This person should be as close to a real-life person as possible. This person that you come up with should be your target user. It is him or her that you should cater to, at the very beginning. In the context of a traditional product like a Book, all your efforts that you take before the launch are of extreme importance, more so than what you do once it has already been launched. However, it is exactly the opposite in case of new age software product. This means that once you have launched your product, each of your activities is critical and would decide the path of your growth. To elaborate the point further on let us take the example of Dropbox. Now when they released their product, it was not in the form of some huge launch event that was exclusively by invite only, in fact they simply released it to the general public at large through TechCrunch50 in 2008. Now they were smarter than you think, because they made their product invite-only after the launch. Isn’t that smart now? What happened here was that, since they launched it on an event that had the perfect audience waiting for them, they captured their attention and then built up an aura of exclusivity around the product. So now, anyone who was looking to join Dropbox would only be able to do it if a current user were to invite them. 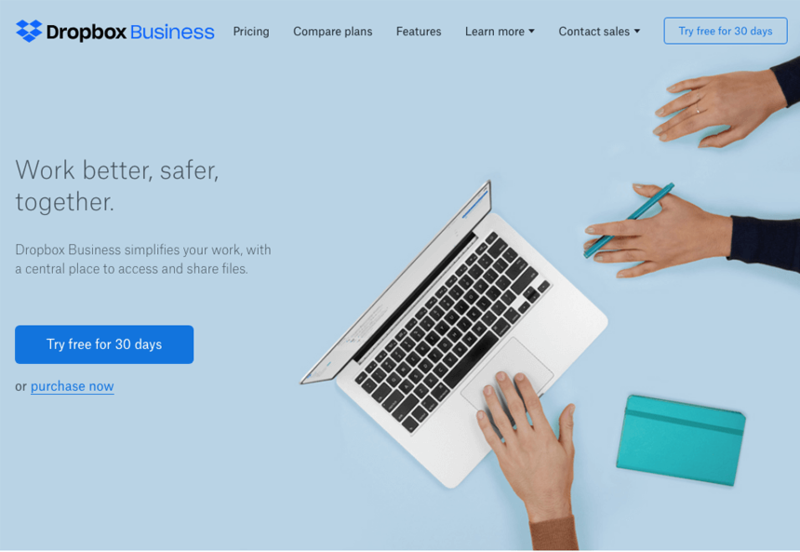 Now everyone was already curious about Dropbox and what it could do for you, so the waiting list started exploding, bursting at the seams. However, everything that is unknown does bring in a certain skepticism with it, and to address this they made a short demo video, which was then posted on Digg. This gave them an exposure yet again to an ideal audience which was mostly internet geeks, techies, and nerds. It took only 24 hours for the video to get 10,000 diggs (an equivalent of ‘likes’ on Facebook) and as the word about it spread, the waiting list expanded from 5,000 up to 75,000 users! They must have gotten something right, because today they have north of 500 million users! It is exactly this kind of growth jumps that are instrumental when it comes to the early days of a startup to cross over that 15% market share threshold that any product would need to get started on a path of growth. However, such a success story brings up quite an important point up to prominence. Is it possible to spot a raging success that is just on the edge of making it big? How do you know whether it is a brilliant idea or a bad one? This is when you resort to the pirate metrics. Now, have you heard of the PayPal Mafia? They are the group of entrepreneurs and visitors who had one thing in common – hitting it big with PayPal before moving on to found other companies in the Silicon Valley. Now, Dave McClure who was a marketing director at PayPal, who founded the tech incubator/accelerator 500 Startups among many other entrepreneurial ventures. With his experience from PayPal Dave was always aware of that there were strong differences between growth hacking mindset and brand marketing ideas. When he went on to talk about his views on startup metrics he talked about some key growth drivers and completely disregard everything else. This is when he outlined the metrics according to the funnel stages and coined the acronym AARRR, which later were quite cheekily nicknamed as the “Pirate Metrics”. Acquisition is all about getting users on to your site. This is where you work on strategies to get a whole lot of people to know you, your business, your brand, your products and/or services by name. 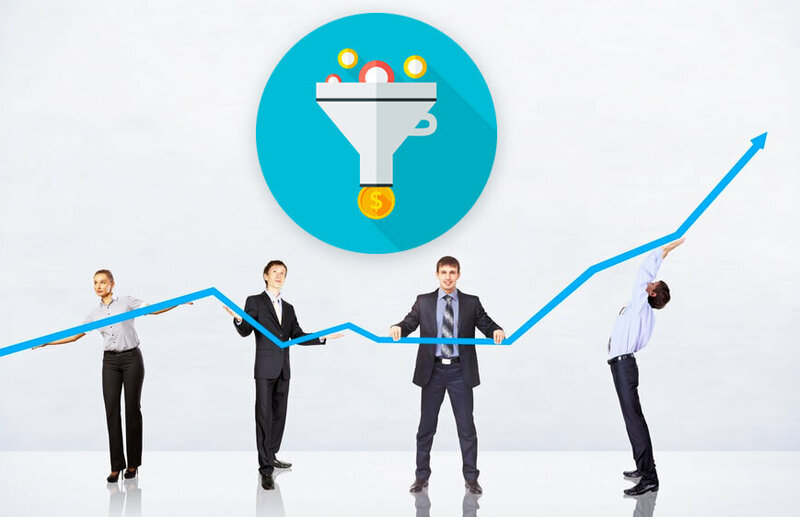 Now, the first goal of your growth hacking funnel is to get visitors. This is basically the process or the task of getting people to visit your site or the app for the first time. The whole reason why these people are called visitors is because they don’t belong to you, not yet. These visitors are essentially strangers who just happen to have stumble upon your site. So now there are three established ways of getting someone to visit your website or app. If you want to get anywhere with your business, you need to make sure that you create a product that people actually want. Here, essentially you are afforded the ability to make use of the product itself in order to acquire a new visitor and this is probably one of the more exciting aspects of growth hacking strategies. While the push and pull tactics might all be fun and games and to be honest they do work pretty well, but the charm of being able to use your own product is nothing short of magical. This is one of those techniques, which when executed well, have a unique compounding impact and it can hardly be replicated with the other two techniques. Getting the visitors to send someone else a friend request, etc. The trick is setting your goals intelligently and understand that the fewer goals you set, higher are the chances that you would achieve them. It is a good idea to set a general rule of having one primary activation goal for any given section of your product. Once you have been through two of the previous stages, you must already have got some people on to your website and have activated them to take some action on your site, it is time to move on to an important aspect – retaining these visitors. Retention is essentially the techniques or acts that gets your members to start using the product or service or your site in a way that they get habituated to it. For example, if you have an ecommerce site then retention means that you are helping the users become repeat buyers. Or if you are in the business of content then retaining the users means encouraging the people to consume your content frequently. A great number of growth hackers have often iterated retention as the most important aspect of the entire growth hacking funnel. Customer retention or user retention is a skill which can be learned with time. We have listed a few tactics in this direction, let’s take a look! If someone were to ask you why you are doing a business, your answer would probably be – money! When it comes to entrepreneurial ventures money is always a matter of concern, which is probably why there is a need for heavy investments in context of scale. There are a hundred things that scream for attention and a million responsibilities that you need to delegate. Now you cannot maintain a stellar team for professionals if all you are charging is $10 for a monthly subscription. So, you need to figure out quite ahead of time how you are going to get the revenue you need. After you have spent some time providing your subscribers all the value and information that establishes the worth of your product, you can then go for the hard sell. This means that once you have managed to work on the retention tactics, it is time for you to shift your goal to ‘Revenue’. This email or your hard sell pitch would effectively be about a lucrative deal that would help you ease out on the negative cashflow. One of the biggest and most common mistakes that a lot of companies make is spending a whole lot of time and energy, effort & money in creating sophisticated systems in order to measure customer satisfaction. One of the simplest things to do is simply ask the customers just one question – Would you recommend our product to your friends and family? It is actually as simple as that! Ask your customers this one question and present them with a scale of 0 to 10, to understand the customer’s experience and satisfaction with you. However, doing all this for once, does not mean that you can just sit back, put your feet up and gaze into the sunset. You can only ensure the success of any entrepreneurial venture or experiencing any kind of substantial growth only if the product you are offering is up to the mark. One thing that you must remember always is that even if a startup has millions of users, it still might take them several years to record any measurable profit. There are two major reasons why this might have happened – either because the product they are offering is way too expensive or they waited a little too long to charge the customers. It is of extreme importance that you take care of the entire funnel in a balanced manner. If you are one of those companies who focus majorly on acquiring new users or customers and entirely ignore the process of retaining them, there is only a thin possibility of you ever making as impressive a growth rate as would be expected from a great growth hacking strategy that has been implemented properly. After you have managed to reach a certain level and have entered the big player league, the user experience you offer becomes extremely important for the success of your product. You must never stop improving your product. You would never be “done & dusted” with your product, if you want to see progress and growth. Coined in the year 2010, by Sean Ellis, Growth Hacking is a process of rapid experimentation of marketing and promotional strategies to identify the most efficient ways of business growth. Founded in the year 2013, GrowthHackers is a platform that allows marketers to learn and share about ethical digital marketing techniques that drive scalable and sustainable customer acquisition growth across all key business channels.